Purpose: Green Supply Chain Management (GSCM) has received growing attention in the last few years. Most of the automobile industries are setting up their own manufacturing plants in competitive Indian market. Due to public awareness, economic, environmental or legislative reasons, the requirement of GSCM has increased. In this context, this study aims to develop a structural model of the barriers to implement GSCM in Indian automobile industry. Design/methodology/approach: We have identified various barriers and contextual relationships among the identified barriers. Classification of barriers has been carried out based upon dependence and driving power with the help of MICMAC analysis. 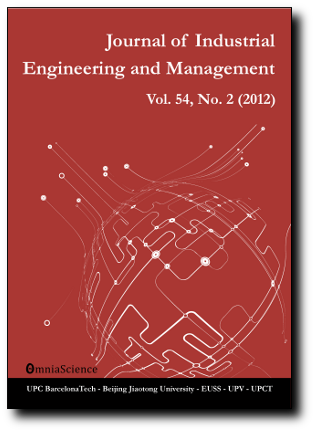 In addition to this, a structural model of barriers to implement GSCM in Indian automobile industry has also been put forward using Interpretive Structural Modeling (ISM) technique. Findings: Eleven numbers of relevant barriers have been identified from literature and subsequent discussions with experts from academia and industry. Out of which, five numbers of barriers have been identified as dependent variables; three number of barriers have been identified as the driver variables and three number of barriers have been identified as the linkage variables. No barrier has been identified as autonomous variable. Four barriers have been identified as top level barriers and one bottom level barrier. Removal of these barriers has also been discussed. Research limitations/implications: A hypothetical model of these barriers has been developed based upon experts’ opinions. The conclusions so drawn may be further modified to apply in real situation problem. Practical implications: Clear understanding of these barriers will help organizations to prioritize better and manage their resources in an efficient and effective way. Originality/value: Through this paper we contribute to identify the barriers to implement GSCM in Indian automobile industry and to prioritize them. The structured model developed will help to understand interdependence of the barriers. This paper also suggests the removal of these barriers.